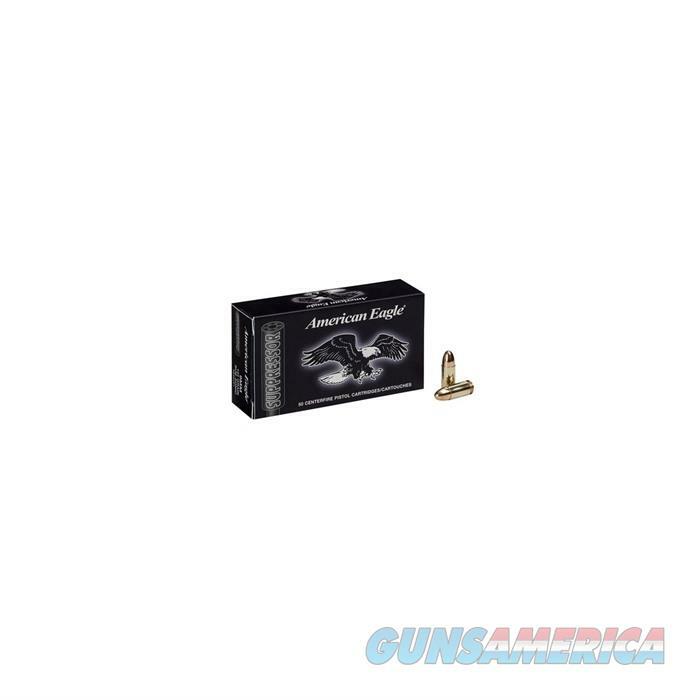 Description: Federal AE45SUP1 AMERICAN EAGLE 45 ACP 230GR FMJ SUBSONIC AMMUNITION Get substantial noise reduction without sacrificing accuracy or reliability. The all-new affordable American Eagles Suppressor rounds perform to their ballistic peak in suppressed firearms, thanks to carefully selected propellants, bullet weights and primers. Their sub-sonic loading eliminates the super-sonic crack suppressors can't silence. Loaded with clean-burning powders to help minimize fouling while reliably functioning in semi-automatic firearms.